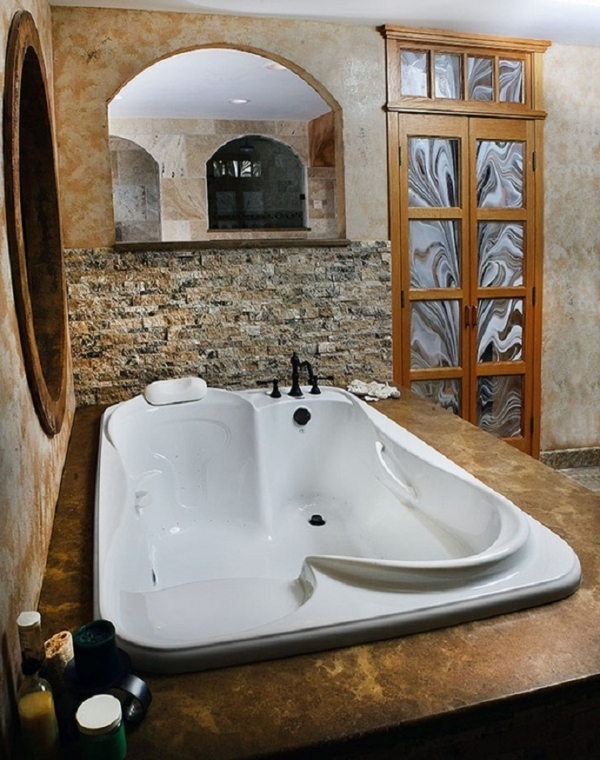 If you want to transform your bathroom from just a place for washing up into a spot for relaxation and intimate romantic moments then you should definitely consider a double bathtub! 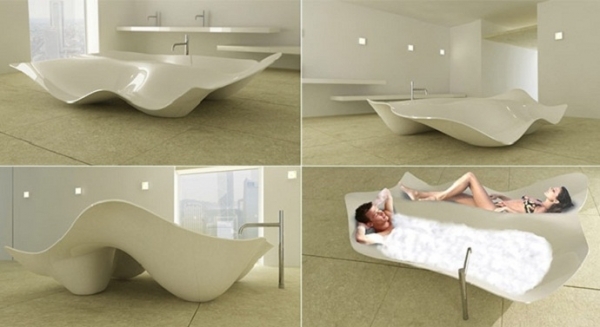 This unique bathroom furniture piece can really fulfill your dreams. You will enjoy endless moments of total relaxation and pleasure. Double bathtubs are not only functional but also very comfy. They come in different shapes and sizes to ensure the comfort of both partners. 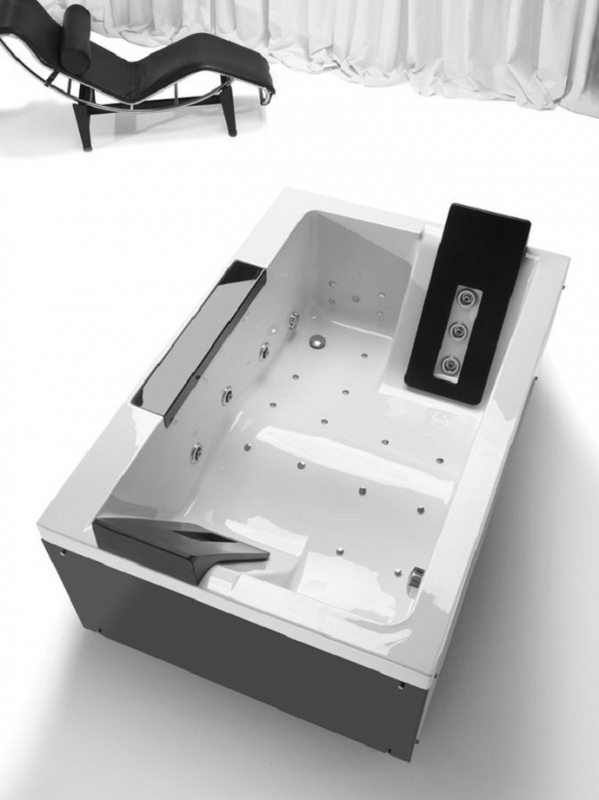 There are many different types of double bathtubs to choose from, as it all depends on what suits your mood and needs. If you’re looking for the true blue spa experience, a bathtub that resembles a jacuzzi is probably your best bet. 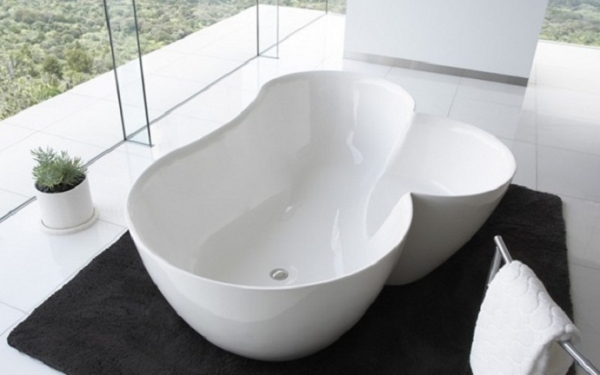 So maybe you’re not working with that much space but would really like to upgrade your tub. All things are possible in the world of interior design! 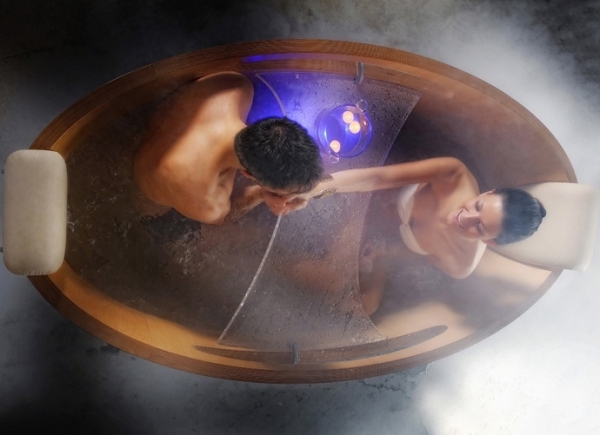 Made with natural wooden elements, you can install uniquely shaped double bathtubs big enough for just you and your beau. Not to mention you’ll have some storage space underneath for easy access to your favorite towels. This style is definitely a win-win! 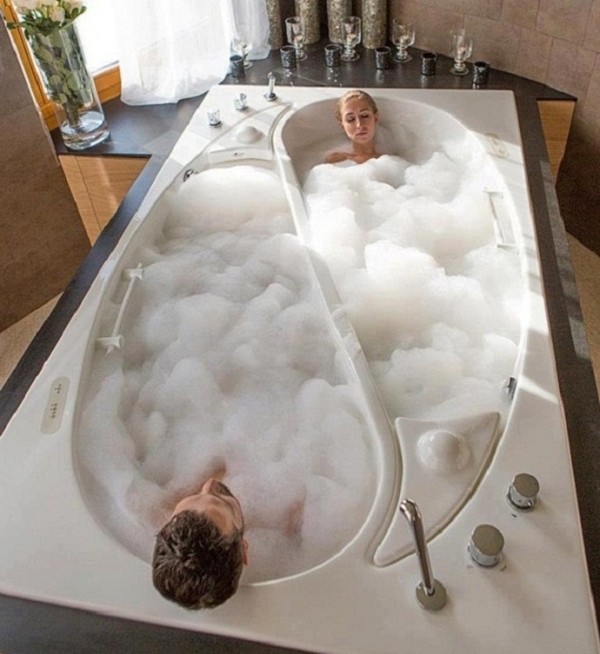 Now we all know that nothing is sweeter than bathing with the one person you adore, but sometimes you need a little space. This doesn’t mean you have to be apart from them though! We absolutely love the ying-yang style, as it promotes tranquility, peace and balance. If you still want to be near your love but don’t want anything separating you, a rustic style is just right. Bathtubs are also great places to create a romantic atmosphere on the spot! Not only can you bathe together, but with the right double bathtub, you can also enjoy a few drinks with the addition of a bath bench and even a mini-library shelf when you want to read your favorite book to your beloved in a candle-lit bubble bath. And don’t forget those rose petals! With so many options available, I’m sure it’ll be hard to settle for just a traditional bathtub now.